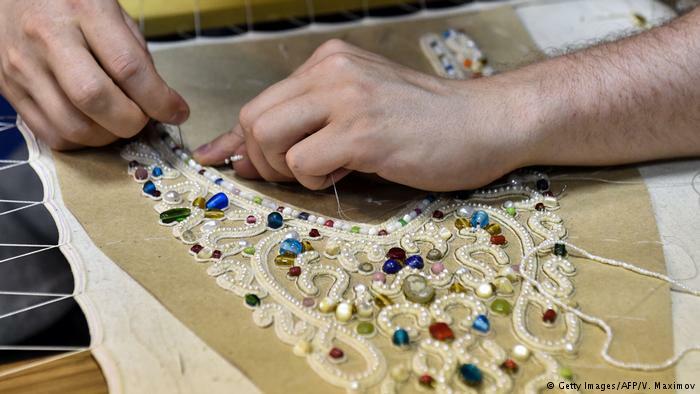 “For me, sewing is a way to learn about my origins,” said the 31-year-old designer. She describes her “Masha Andrianova” fashion line as “for the modern world” but uses some sewing techniques dating back to the Tsarist era. Her flowing dresses, high-necked blouses and pleated skirts are made of natura materials in pale or autumnal colours. “In Karelia, the locals showed me a way of sewing that I didn’t know about. They had learned it from their mothers, it was like a family secret,” she said, lightly braiding two threads together. 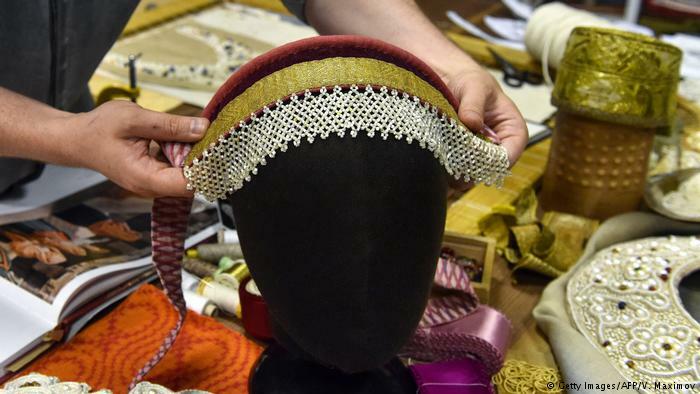 A picture taken on August 28, 2018 shows Yukhann Nikadimus making a Russian traditional kokoshnik headdress at a workshop in Moscow. 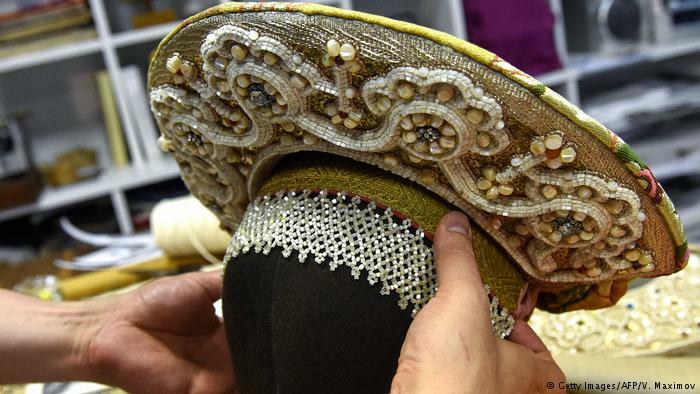 At 35, Yukhann Nikadimus decided to devote himself entirely to making kokoshniki — traditional women’s high headdresses that were particularly popular in the 19th century. Working in a factory that dates back to the 16th century but was renamed after Bolshevik leader Vladimir Lenin in the Soviet era, the tall bearded man carefully embroiders pearl patterns on to canvas stretched on a wooden frame. 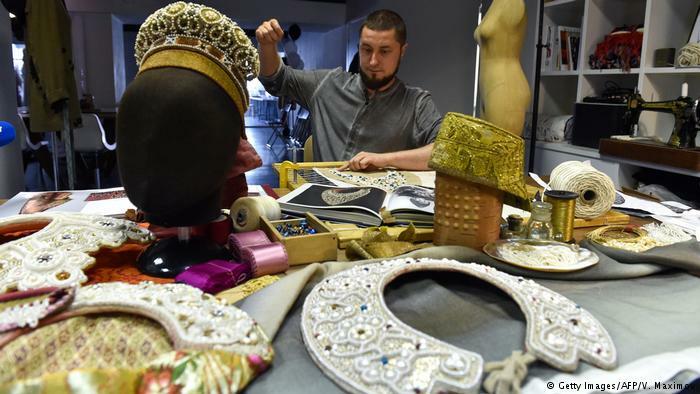 In the city of Ivanovo, Russia’s centre for textile production, 28-year-old Maxim Krylov wants to help young designers learn about their heritage. He has founded an annual festival called Textile Capital in the town, 300 kilometres (186 miles) northeast of Moscow, aimed at encouraging designers to use traditional fabrics. In July, some designers worked with fabrics printed with Soviet propaganda designs found in the archives of Ivanovo factories, Krylov said. Wearing such clothes does not mean looking old fashioned. 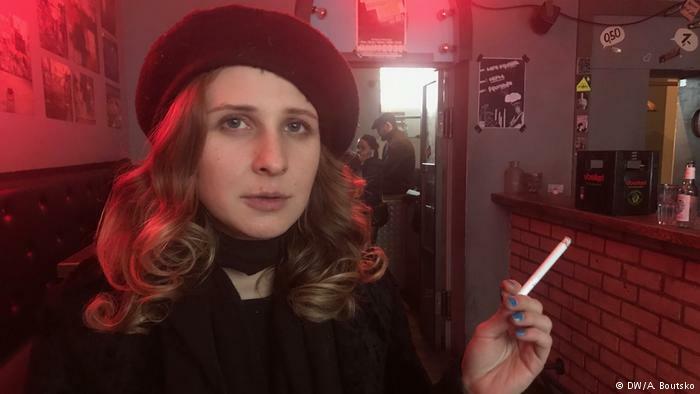 Members of the feminist punk group have been sentenced to 15 days in prison after a pitch invasion during the World Cup final in Russia. We look at some of their most high-profile protests to date.